Until that day arrives, I've made the process far less painful with a clear, TSA-friendly toiletry bag that's always stocked with travel-sized toiletries and ready to go. It sounds so simple it's almost stupid, but I'm telling you, this one little thing--a clear toiletry bag--just makes me feel like a travel pro. I never get stranded someplace without deoderant or contact solution, because I always check the bag and restock it after a trip. It's kind of fun, actually, going to Target for the teeny tiny new toothpaste and thinking about where I'll brush my teeth next time: Croatia? Norway? The Galapagos Islands? Who knows! 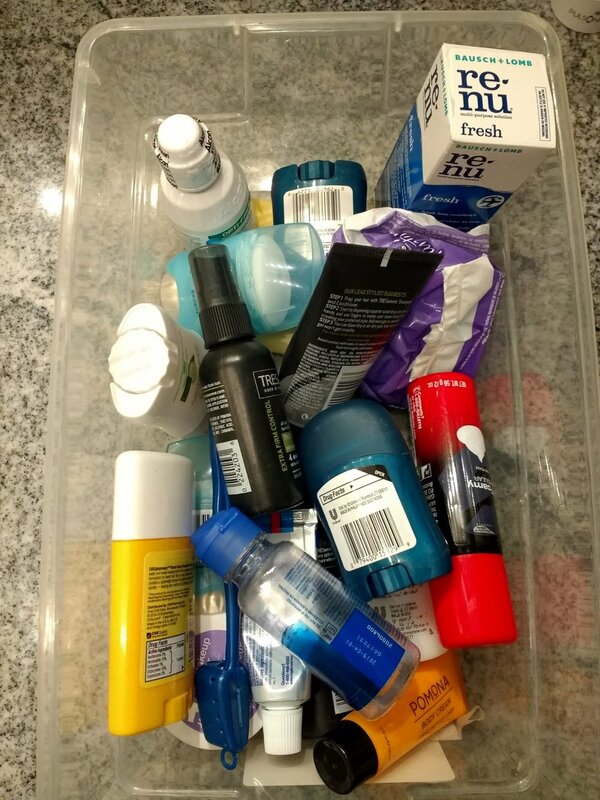 If I'm going on a longer trip needing more toiletries, I'll either pop in an extra travel size, or shop locally when I arrive. We never check luggage, so we never travel with full-size toiletries. I like the simplest possible bag style, nothing too big or bulky, just sized perfectly for the front pocket of my carry-on, where I can slip it out and back in with no fuss. There are a bunch of good bag options that you can pick up on the cheap-and-quick from Amazon. Or, from Pangda, you can get a 5-pack of clear PVC zipper bags for the same price!